Update 3/25/19: The Justice Department has released a summary of the Russia investigation, but it was not the full Mueller report. 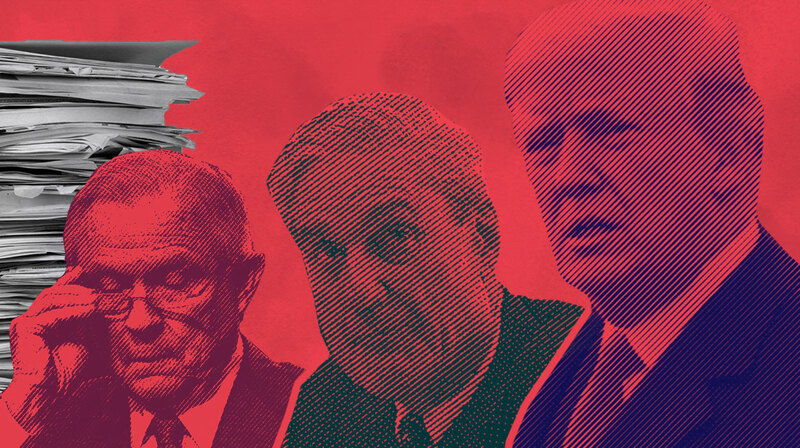 If you believe that government business should be conducted in the light of day, add your name now demanding that Mueller's report be made public. Not even 24 hours after the 2018 midterm elections shifted the power balance in Congress, President Trump has forced the resignation of Attorney General Jeff Sessions. There's reason to believe Trump's motives are purely personal: Sessions angered the President when he recused himself from the investigation on Russian interference in the 2016 election. And now Trump is getting even. The danger is that Sessions' resignation could pave the way to firing special counsel Robert Mueller, who's leading the Russia investigation. This is how it works: AG Sessions should have overseen the Mueller investigation, but since he recused himself, the investigation went to deputy attorney general Rod Rosenstein. That's already changing – the new AG will take over the Mueller investigation and thus, have the power to fire Mueller. Firing Mueller for anything other than wrongdoing would be illegal – but Trump seems to have no regard for the law. It's clear this move by Trump is a serious threat to our democracy. Though Sessions was an egregious violator of civil rights and liberties, a cabinet official should never be dismissed to protect the president or his cronies from the rule of law. Any new attorney general must uphold an independent investigation. The Senate alone has the power to confirm Trump's next nominee for attorney general and stop him from trampling our country’s founding principle of checks and balances. If we make our voices heard loud and clear to our elected officials, we have a chance to stop Trump from cherry-picking an attorney general who will do his bidding. Add your name now: The Senate must demand that any nominee for attorney general commit to not interfere in the special counsel investigation and continue to let Mueller operate under the special counsel regulation. Do not confirm any attorney general nominee unless they pledge to not interfere in the special counsel investigation and to keep Robert Mueller operating under the special counsel regulation.